o, Here I'm with new Opera Mini 7.5.3 HUI Mod. This version has more advantages compared to previous version. You can add frontquery, backquery, filters etc. Also there option for setting Reverse proxy, Real Host proxy etc. You can use this Opera Mini to use free internet by modyfing the server address/ proxy address according to your carrier. For editing the server address, add a filter of 10.0.0.172:80 to point to your new address. 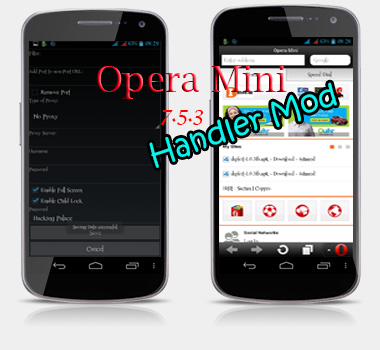 Enjoy free Internet with new Opera Mini Handler..!